In practice that means that I (as your colleague, maybe former boss) can come up to you and ask: Hey, what projects are you working on? What are the next actions defined for those projects? What are you prioritizing? Circle members in a Holacracy always need to be able to answer these questions. How does one achieve that comfortably? An email setup that allows for quick return to an empty inbox (while also processing all messages into actions, reminders, triggers, checklists, etc). A (digital) tool for keeping track of projects and action lists. A (digital) tool for keeping track of project material and other reference materials. A routine that makes sure your “system” stays clean and orderly. A good practice is doing a weekly review. Basically, it’s a combination of having the right process in place, alongside some good tools and a couple of productive habits. Now let’s go back to the CEO considering to use Holacracy. If all employees in his company work according to certain minimum standards of personal productivity (which in case of Holacracy they are required to do), then it becomes more easy to relax. He may not be able to control the what, when and how of people’s actions, but at least he can get full transparency on it. And if the provided transparency gives him any tensions, Holacracy offers ample opportunity to process those tensions into new projects or accountabilities during its frequent Tactical or Governance meetings. Are you a business owner and would you like to have your staff trained in personal productivity? Or would you like to get individual coaching? 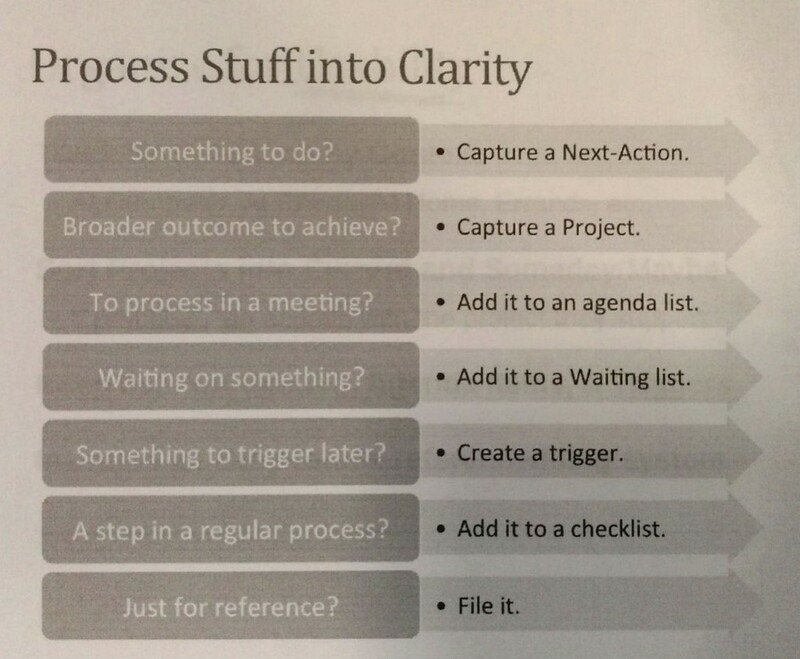 At Structure & Process we can help you manage and master these areas of work and take personal productivity to the next level.